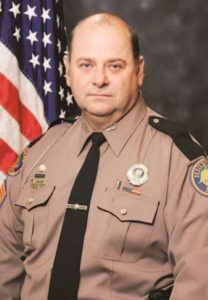 It is with the heaviest of hearts that we report Sergeant William Trampas Bishop, a member of the Florida Highway Patrol, has succumbed to injuries he sustained while on duty in Alachua County this evening. Sergeant Bishop was a 30 year veteran FHP Trooper, who, like all troopers, put the well-being of those he serves above his own to keep Florida roadways safe. Every member at the Department of Highway Safety and Motor Vehicles is grieving with Sgt. Bishop’s family during this horrific time. Sergeant Bishop was struck on Interstate 75 southbound while he was outside of his patrol car. This is a tragedy that highlights the risks that FHP troopers encounter every day as they serve our state. We appreciate all of the support FHP has received and continues to receive. Please keep Sergeant Bishop’s wife and son and all members of the Florida Highway Patrol in your thoughts and prayers. Press Note: This crash is currently under investigation. More details will be provided as soon as they can be released.